I spotted this little trick on Pinterest. Yes, sigh, I've spent some time on Pinterest. I have friends who are avid participants. I've seen things they have made from ideas they got there. I even got one as a gift and it's oh-so-clever and I love it. 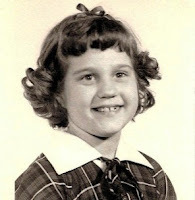 So reluctantly I set up an account. However, I don't think I am really cut out for Pinterest. I bumble around in it and almost never seem to find what I really want. But! In my stumbling, I ran across this idea that I honestly will use! Over and over! 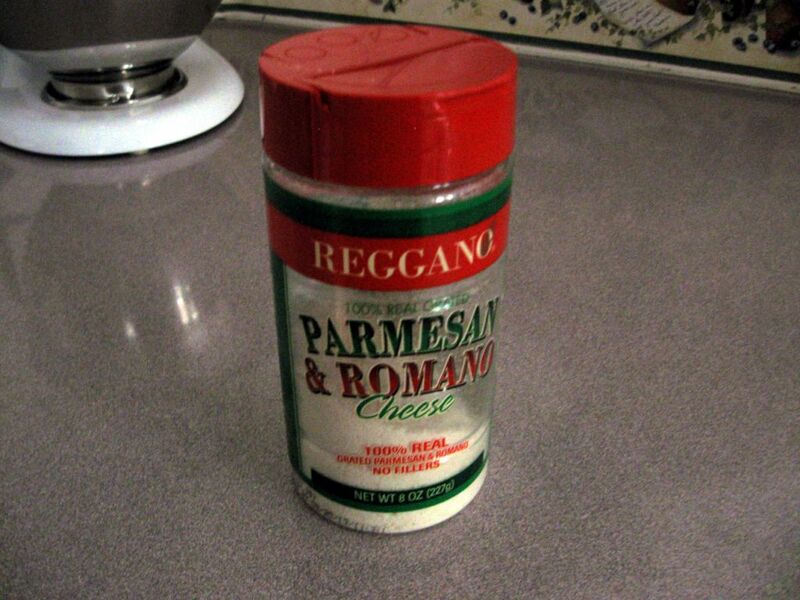 Save the screw-on tops from your parmesan cheese jars. Guess what? These can be used on screw on mason jars! currently empty since I didn't have a useable lid, but just wait until we eat up all the parmesan....just wait! This particular jar was a Golden Harvest Mason jar. By the way, MASON is not synonymous with CANNING. It's a brand of jar sold for canning. Bet not all of you knew that, did ya? The lid fit beautifully and, truly, the beauty of using that red screw-on lid is that flip top that allows you to either sprinkle or spoon out some of what is inside. Tricky, huh? What might be inside? Take a look. Lookie here! A nice jar of ground golden flax seed! I put a couple of tablespoons on my cereal about every morning! 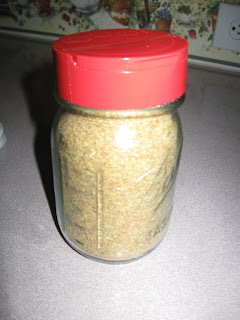 Adds and nice twist to even cold cereal and is great in oatmeal. Sort of a nutty flavor, chock full of anti-oxidants. 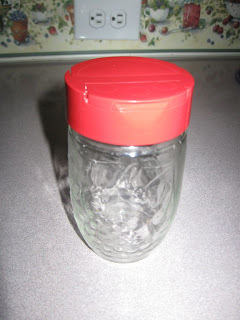 This particular jar is a BALL jar, another company who makes canning jars, and the lid fit beautifully on here, too. The lid is not quite a perfect fit. Depending on what you had inside--say, M&Ms--it might be just fine. If you had something tiny---say sugar or salt--there could be some leakage at the screw top juncture. Don't say I didn't warn you! In case you are dying to see what originally prompted this idea, here ya go, straight from my Pinterest board. 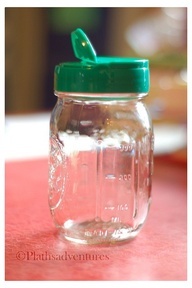 MORE EXCITING NEWS: our next household hint also comes straight from Pinterest and also involves Mason jars. Can you wait? Well, you gotta. Guess I'd better include the usual dumb disclaimer-type thing to his hint: THIS IDEA IS NOT INTENDED FOR ACTUAL CANNING. DO NOT USE THE PLASTIC SCREW ON TOPS IN YOUR CANNER OR OVEN OR MICROWAVE. What's the verdict with this tip? I'm going to give it AAAA [almost astonishing and awesome]**.